The Fashion Awards London 2016 will be held on Monday 5th December 2016 to celebrate the best of British and international talent from the global fashion community. 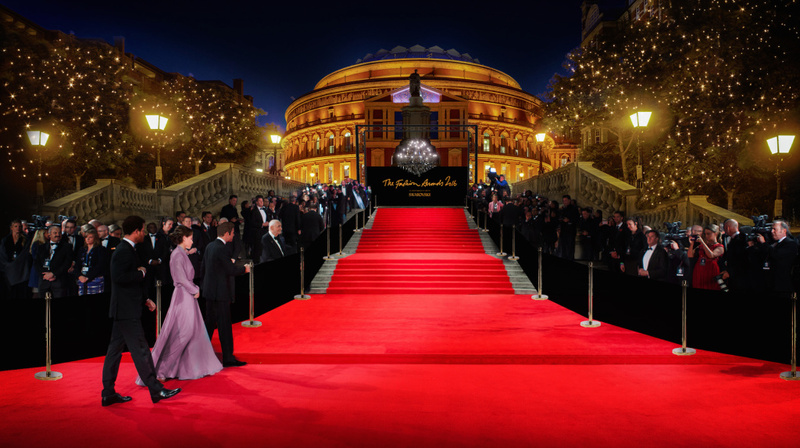 The event is in partnership with Swarovski and takes place in the iconic Royal Albert Hall. There are different prices that will be awarded at the event, which all have their own nominees. The first one for example is the British Emerging Talent; a British directional and innovative designer of womenswear, menswear or accessoires who is emerging as a growing force in the British fashion industry. More awards will be ‘British Menswear / Womenswear Designer’, ‘British Brand’, ‘International Business Leader’, ‘Fashion Icon’ and much more. As usual, there will also be a red carpet lining up some of the most known people in the world. Last year for example Lady Gaga, Victoria and David Beckham, Naomi Campbell and Karl Lagerfeld came by. La Roca Village. 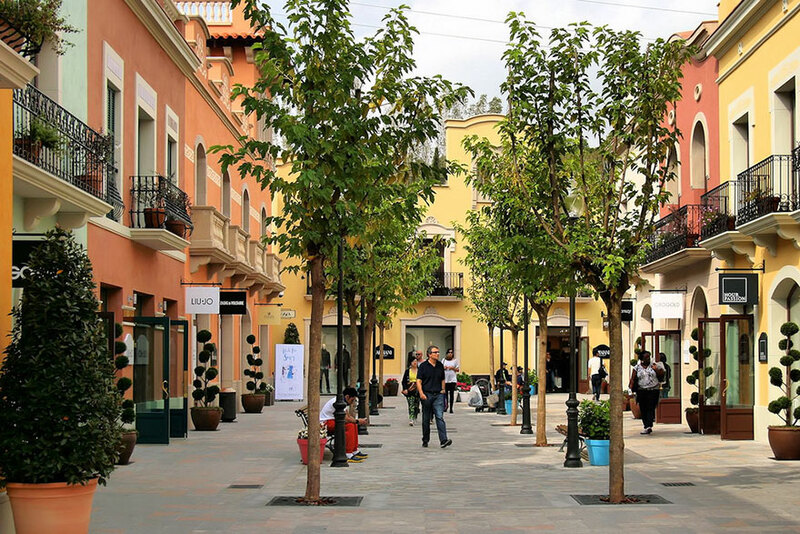 Discover the world of luxury in the ultimate shopping destination in the region. The village is home to more than 130 fashion and lifestyle boutiques offering discounts of up to 60% on the recommended retail price, all year round. You can also find a range of restaurants and good bars for a break while shopping. Enjoy a refreshing drink or refined food. Discover also the area in the surrounding of La Roca Village. Beautiful beaches, impressive architecture by Gaudí, thermal spa towns and nature reserves are only a few of the possibilities. Just 40 minutes by car from Barcelona, and with the beaches of the Costa Brava and the Maresme on the doorstep, La Roca Village boasts a tranquil location inside the Catalan region of El Vallès Oriental. Accessible by train in as little as 30 minutes from Barcelona, the closest station to La Roca Village is Granollers Centre. The RENFE train service leaves from Barcelona Sants at regular intervals. On arrival at Granollers you will find taxis and direct buses to La Roca Village. Online at www.renfe.com or give a call at +34 (0) 902 240 202. Elite Model Look Event is a yearly fashion modeling event held by Elite Model Management, an international model management group. The aim is to discover and launch female fashion models in the international fashion world. Every year, circa 350,000 participants visit the contest from roughly 70 different countries all over the world, with castings held in over 800 cities. The participants are usually between the ages of 14 and 22. They compete in local contest for a place in the world final where they can represent their own country. For each men and women there are measure requirements to participate to the contest. For example, the female minimum height requires 1,72 meter. The winners of the contest are selected based on their personality, natural beauty, photogenic abilities and potential to fit into current fashion trends. They are awarded with worldwide contracts with Elite Model Management. The top three best models are offered contracts with a guaranteed remuneration. The Modelling Pro Course at the Amber Chia Academy is a course that teaches you the fundamental skills, practical knowledge and commercial secrets to becoming a profession model. The 6-week course will also help you to develop your self-confidence and improve your posture and social courage. Participating in this course will qualify you to work as a professional model for photo shoots and catwalks. The modeling course consists of 5 stages which will gradually improve your level of professionalism. The first stage is ‘orientation’, this will give you an introduction to the modeling world and allow you to meet other students on the course. There will also be a course outline summarizing the rules and regulations. The second stage is centred aroud the necessary requirements to becoming a model. You will learn about the fundamentals of maintaining your appearance with lessons on hair, eyes, skin, makeup, body, wardrobe, diet and exercise. You will also be taught about the communication skills and benefits of a career in modeling. The third stage is all about makeup. You will be taught the arts of applying makeup for all occasions including day-to-day, castings, nighttime and catwalks. As well as gaining experience in makeup application, you will also learn about styling your hair for all occasions. The next stage will include the basic elements of walking on the catwalk, body posture is one of the most important things. Last but not least, you will learn the professional catwalk tricks such as facial expressions, poses, looking at the camera and things as simple as hand gestures which can be very important. Victoria’s Secret Fashion Show. This annual fashion show, sponsored by Victoria’s Secret, represents the brand’s collections of lingerie and sleepwear. The brand organizes the fashion show to market and promote its pieces in high-profile settings. Some of the world’s leading fashion models are present on the event, including Adriana Lima, Alessandra Ambrosio, Behati Prinsloo, Candice Swanepoel and Lily Aldridge. The show has already been held at several locations in different cities such as Miami, Los Angeles and Cannes. At the event, you can enjoy the elaborate costumed lingerie and the varying music by leading entertainers. There are hundreds of celebrities and entertainers present, and you can expect special performers and acts every year. Every year, 20 to 40 of the world’s best fashion models are selected to perform in the show. The giant angel wings worn by the models have become a typical characterization of the Victoria’s Secret brand. Fashionista’s “How to make it in fashion”. If you want to know an answer on this question, then visit this one-day conference in the Metropolitan Pavilion of New York City. The editors have compiled the industry’s best and brightest to share their stories, and to offer advice during the panel discussions and speeches that are focused on careers. You will get the opportunity to participate in one-on-one mentoring sessions led by the professional stylists, editors, writers, designers, publicist, marketers, buyers and merchandisers. The sessions are limited and fill up quickly, so be sure to register for the event as soon as possible and reserve your place in the session. You can fill in the form in the online registration process. The aim is to give you an inspirational feeling and give you useful information that will help you to land that job, internship or promotion and that you will make some great experiences and connections. Last but not least, all the visitors get a fabulous gift bag at the end of the event. Clothes Show Birmingham is a fashion and beauty event. It has a lineup of brands, boutiques, fashion experts, catwalks and live performances that are more unique than ever before. With your ticket, you have access to more than 350 pop-up boutiques, inside trend reports from experts, exclusive style advice and non-stop runway shows. You’ll find a lot of glamorous bars and cafes around the show as well. The fashion theater, named ‘Rock The Runway’, brings together fashion, music and dance with more than 40 international dancers, artists and models. A host of well know faces will also appear in the theatre each day. Visit the several workshops, catwalk scenes, Q&A’s and the hair and makeup demonstrations. Last but not least you can head across the Paparazzi Pen and the celebrity signing area to take selfies and get autographs with your favorite celebrities. Moda Manhattan is a three-day trade event of modern contemporary and ready-to-wear collections. It showcases some of the most popular and desired names in the fashion industry nowadays. Moda provides retailers and designers with an inspiring place to manage a business and network. They can meet up with their better customers and prospect from around the world in this elegant and refined environment while giving retailers the opportunity to uncover everything from the newest trends to updated classics. Moda Manhattan focuses on spring and summer collections, including casual clothing, resort wear, workout clothing and so on. About 500 unique lines are show in the exhibit area where attendees can browse and ask questions at the different vendors. At the event, buyers are able to place their orders for the coming season. 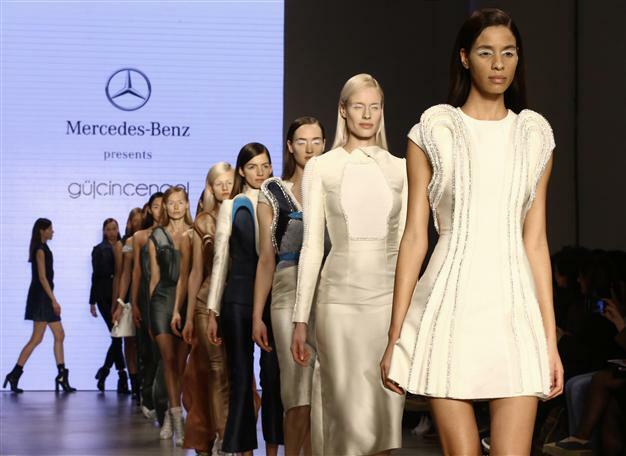 The Mercedes Benz Fashion Week in Berlin is the meeting point to a generation of creative and innovative designers originating from Germany and neighborhood countries. The Fashion Week offers an international spot where audience from beyond physical borders can connect with each other. 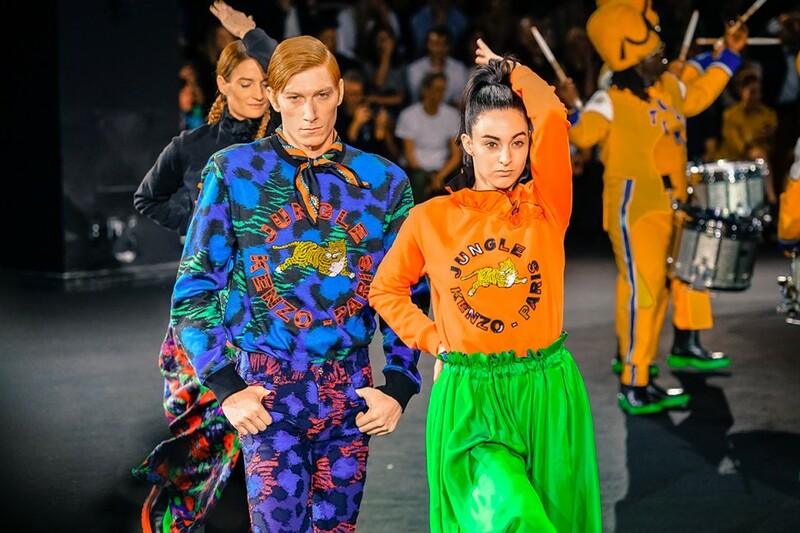 Since the start in 2007, the Fashion Week has gained more and more international attention for the creative, young and dynamic designers who are flourishing in Berlin – the fashion capital. Fashion experts, trade visitors, buyers and media representatives come together at award and fashion shows. They learn together about the latest developments at trade fairs, attend offsite events and visit some exhibitions. There are some highlights of the Berlin Fashion Week, including the fashion trade fairs PREMIUM Exhibition, PANORAMA at the Berlin ExpoCenter City and of course the runways shows which take place at the Brandenburg Gate in the heart of Berlin. This season, the Fashion Week will be showcasing ‘green fashion’, presenting the newest trends and discussing current issues about ‘Ecological Design’. In 2017, the Fashion Week will be presented at a special and particularly suitable place: at the Kaufhaus Jandorf in Berlin-Mitte. It will be the first one-week fashion event in this locations so it offers the designers a lot of new opportunities to realize their creative visions and ideas. The old-fashioned and fashionable department store is the perfect place for it since it is easy to reach. The rooms are almost perfect and there are plenty of good hotels and restaurants in the close neighborhood. KENZO is a luxurious brand from Paris which tries to ignore the ‘French chic’ and highlight the kaleidoscopic jungle with an international touch. KENZO wants to stand out with its unusual use of motives and textures. Carol Lim and Humberto Leon, the creative directors of KENZO, linked up with the international culture of the youth. They design their clothes with a universal and comprehensive vision, without any rules. The designers like to catch a wider audience and even people that have never heard of KENZO before. Every piece of the collection has a meaning that is relevant and important. The collaboration with H&M gave them the opportunity to think about new combinations and try them out. The collection is a tribute to the past, the present and the future. A typical characteristic of the KENZO clothes is that you can wear them inside out, which is also the case in the KENZO x H&M collection. There is a balance between the street style and daring original pieces, including dresses with ribbons, fake fur jackets in neon colors and so on. Just like the Balmain collection, prices for KENZO x H&M aren’t that high. 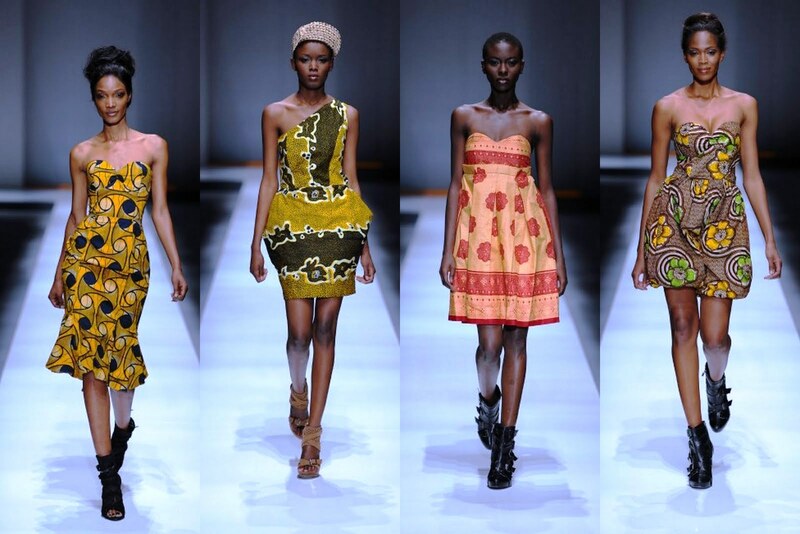 The Africa Fashion Week in London is Europe’s largest catwalk event with African, or African-inspired design. The event features a collaborative catwalk and exhibition which is highlighted by industries established and emergent African designers. The African inspired trends in the fashion industry are increasing a lot and getting their own character. AFWL has showcased over 300 designers to approximately 45.000 visitors, including retailers, buyers and industry professionals. The event is becoming a highlight on the annual fashion calendar. The next editions of AFWL is set to be bigger than ever, with a great line up of events and designers showcasing the best in the world of African inspired fashion. Mercedes Benz Fashion Week Istanbul is the premier fashion event in Turkey that offers an international platform for fashion designers. This event is meant to increase the awareness by inhabitants of the home grown fashion. Highlighting the global presence of Turkish design is one of the main goals, while showing the typical Turkish culture. The fashion designers can showcase their collections to hundreds of industry insiders from all over the world, including retailers, buyers, press members, VIPs and celebrities. This year Basak Cankes – one of the talented designers – will attend the MBFWI with her “Bashaques” brand. The collection is meant to offer wearable art pieces by combining the artistic works of the famous architect Antoni Gaudi with garments woven in Turkey. 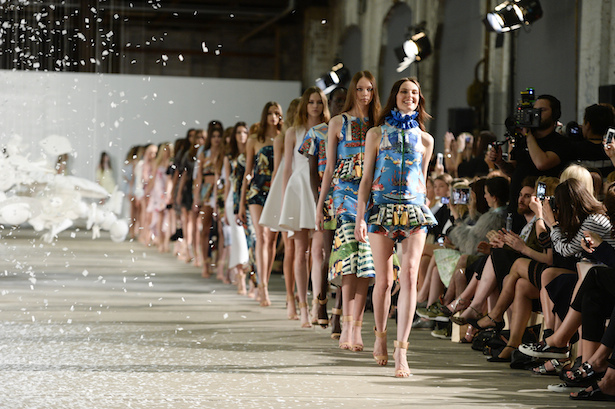 Mercedes Benz Fashion Week Australia is the celebration of the culture and the fashion of the country. 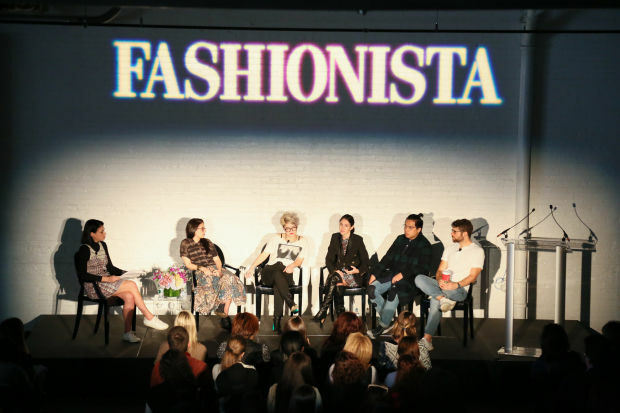 The capital Sydney becomes a fashion attraction for the most innovative fashion designers in Australia, just as retailers and red carpet celebrities. Australian and Asia Pacific designers can showcase their latest seasonal collections. The schedule of the MBFWA will include a curated selection of Australia’s established fashion designers and a showcase from the brightest emerging talent the country has to offer. A plethora of national and international designers have been at the fashion week, including Wes McDonough, Renee Saliba, Georgie Ipsen and Jessica Van.